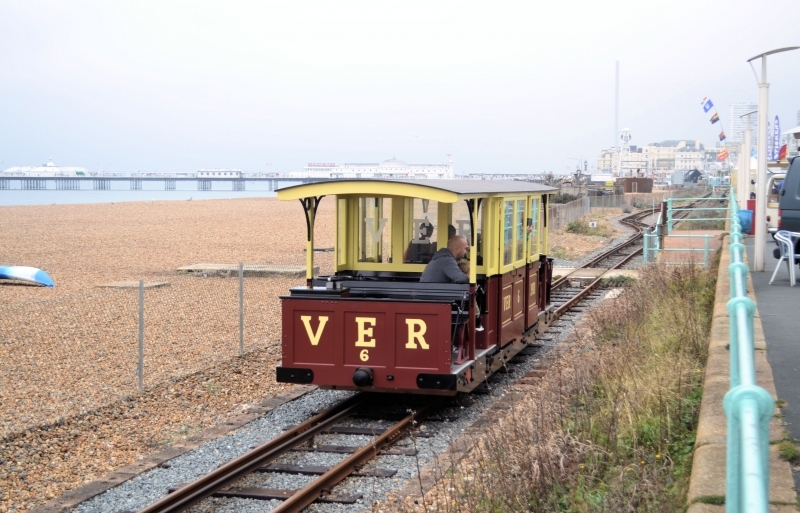 Volk's Electric Railway (VER) is a narrow gauge heritage railway that runs along a length of the seafront of the English seaside resort of Brighton. It was built by Magnus Volk, the first section being completed in August 1883, and is the oldest operating electric railway in the world. Although it was preceded by Werner von Siemens's 1879 demonstration line in Berlin and by the Gross-Lichterfelde Tramway of 1881, neither line is still operational. Operated as an historical seafront tourist attraction, the railway does not usually run during the winter months, and its service is also liable to occasional suspension due to severe weather or maintenance issues. Let us know your ratings, on a score from one to five. Please give us your overall rating for Volks Electric Railway. Is this a good place for families to visit? Is this a good place for railway enthusiasts? How would you rate this as a heritage attraction? How would you rate the facilities available here? How easy is this to access for those with disabilities?